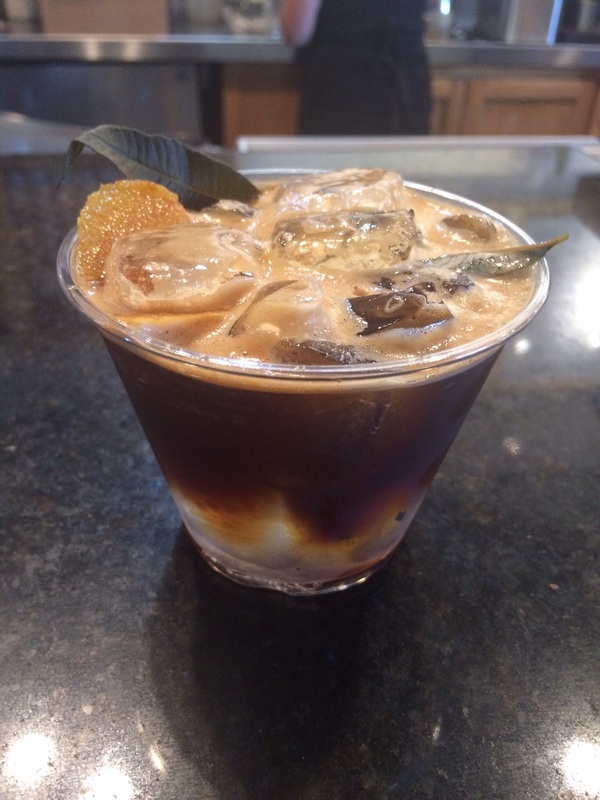 This seasional drink by Klatch uses Lemon Verbina leafs, Lemon zest, with there 2003 USBC espresso. This is more of a unusal drink for a coffee shop in that to make this drink you need a cocktail shaker to combine all the ingrediants then layer them on top of the symple syrup. This drink must be stured to combine the symple syrup and coffee and in doing so it does bring out delicate acidity and a velvity body of this drink.